This father and 11-year-old daughter combination has been stopping the show at festival poetry events. They will take you on a journey, make you laugh - and think! Whether you’re bright-eyed or begging for coffee, the ballads of bards, seasoned as the breakfast barbie and wise or witty words of walk-ups, fresh as the coffee that brews nearby, you’ll wake up well with a folk tradition each day. Check the schedule for daily guests and polish your own personal poems for your chance to win Walk Up of the Year (a season ticket to next year’s festival). 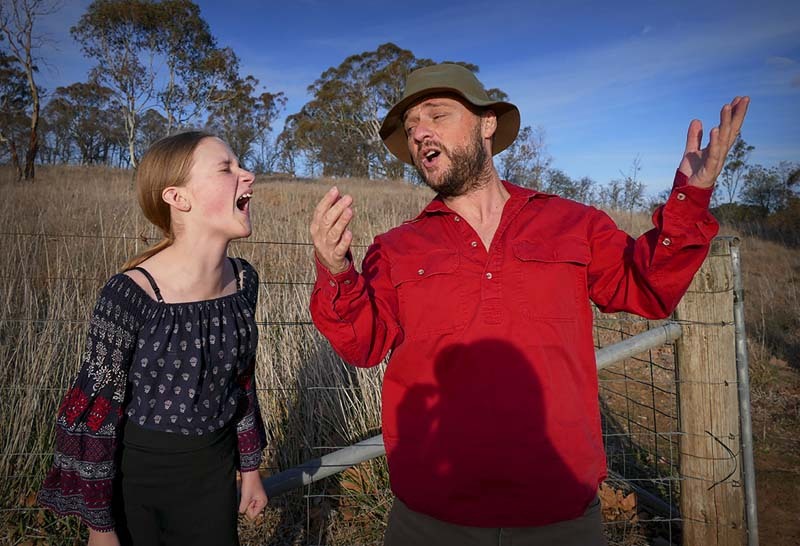 Meet a father and daughter duo and go on an Australian poetry, yarn and song journey. Clickety clack, be taken on a ride through words to make you laugh and make you think.